I don't know that Liesl needs much of an introduction. 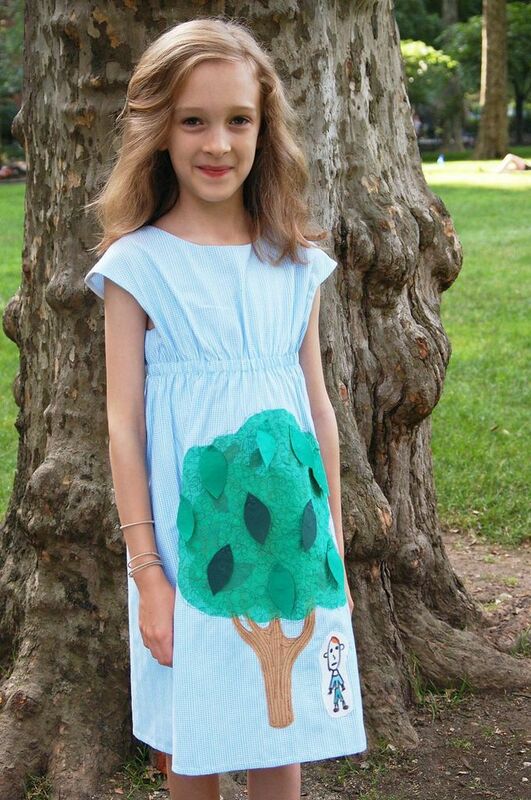 If you've ever used an Oliver + S pattern, you are enjoying the creative fruits of her work! I'd like to follow her around for a day and see how she does all that she does, from quilt market to fabric design and pattern production, all while enjoying the big apple with her sweet family. Dream life, right? 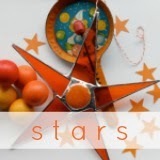 She's here today, sharing a collaborative work with the "S" from Oliver + S, her daughter! Welcome, Liesl! It’s not often that I get asked to participate in something like Once Upon a Thread. It was such a pleasure to sew something just for fun. S and I had a great time working on this project together. Thanks for including us, Katy! 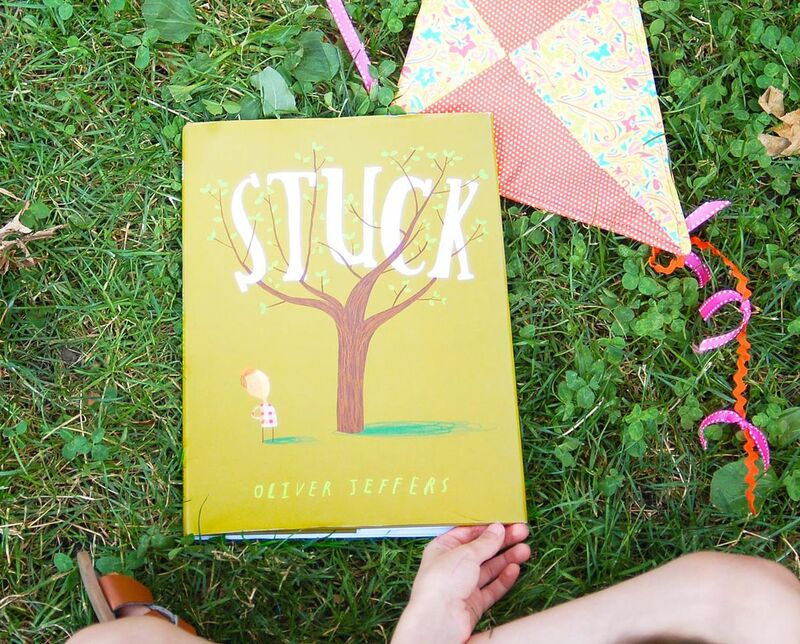 We chose the book Stuck, by one of our favorite picture book authors, Oliver Jeffers, whose stories and illustrations are so amusing and quirky. This book doesn’t disappoint! 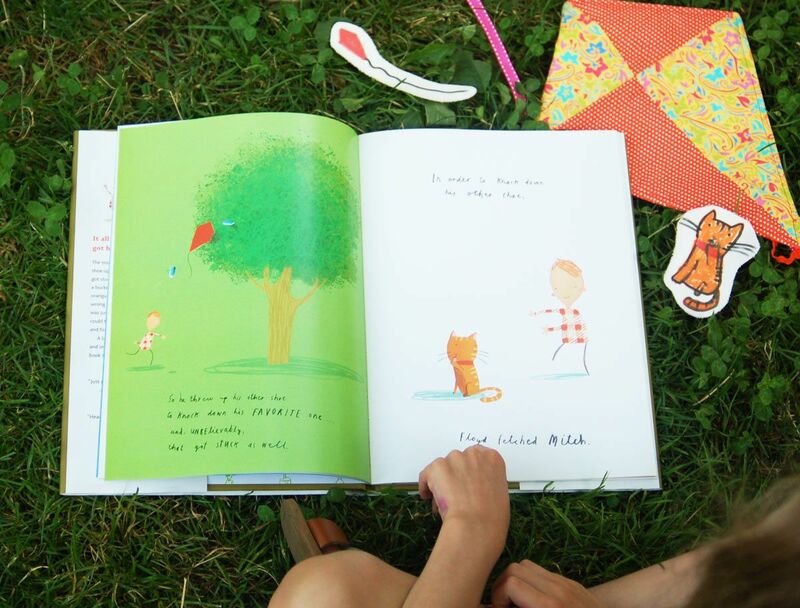 It’s all about Floyd, whose kite gets stuck in a tree, and he has quite an adventure trying to free it again. 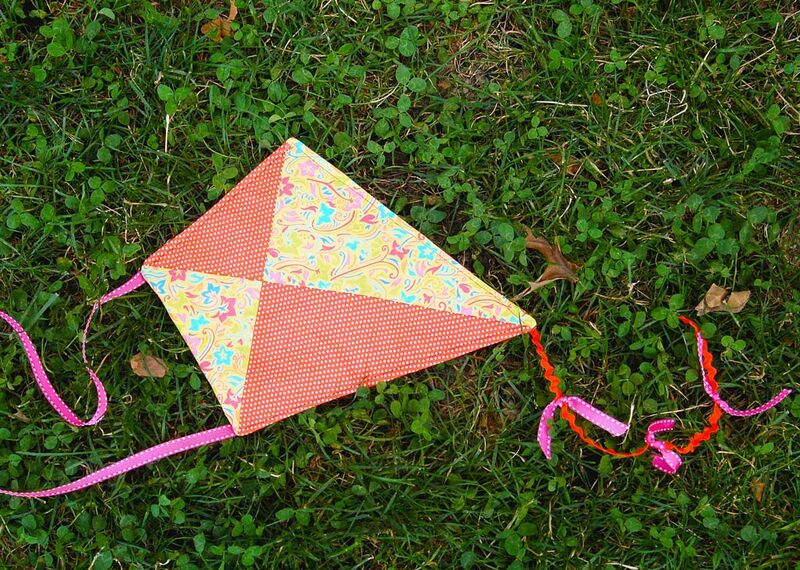 At first, he thinks that if he throws something else at the kite maybe he’ll dislodge it. He tries his cat. No luck. He moves on, tossing increasingly crazy things into the tree, like the kitchen sink, a neighbor’s door. And just when you think he’s going to use a ladder to retrieve the kite, no! The ladder goes into the tree. And that’s just the start. We love how the book goes from completely plausible to ridiculous and hilarious. Floyd tosses increasing larger and more outrageous items into the tree in an attempt to free his kite, including an orangutan, a house, a whale and even a ship. And then they’re all stuck. for yourself (and share it with someone little who can appreciate the silliness and giggle along with you). We enjoyed the totally silly aspect of this story SO much that we thought a very silly dress was in order. 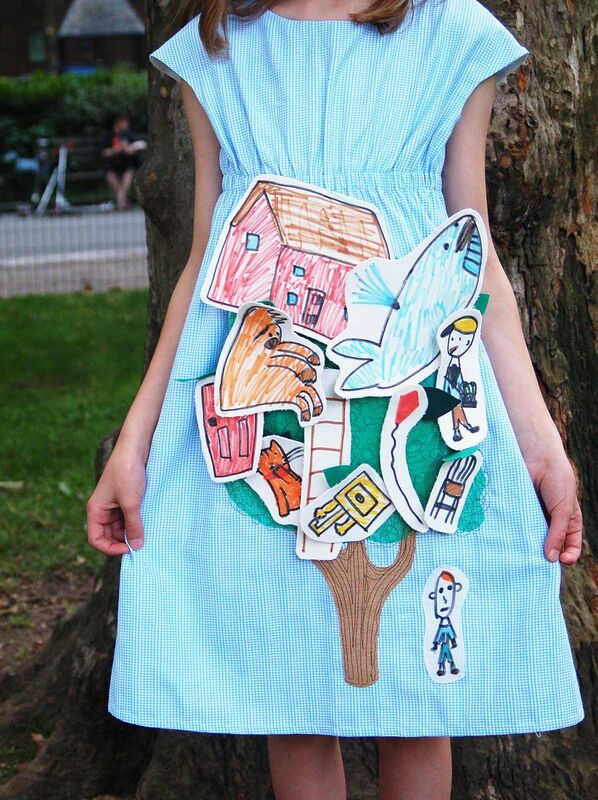 layers of fabric together (including a heavy canvas backing) to add stiffness to her drawings and attached a snap to the back of each piece so they could be snapped onto the dress in a very literal (and silly) retelling of the story. 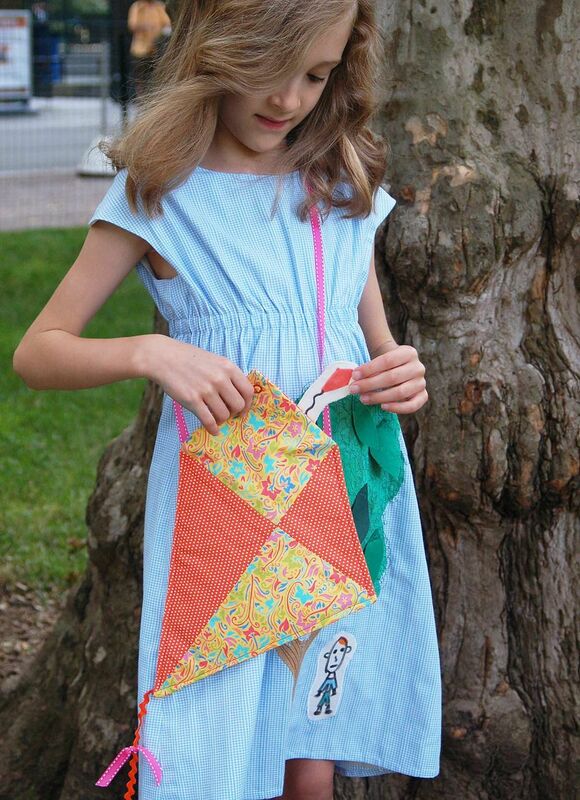 To add the kite, we simply lifted a leaf and snapped the kite to the dress. those things that get stuck in the tree. A kite-shaped bag seemed appropriate. 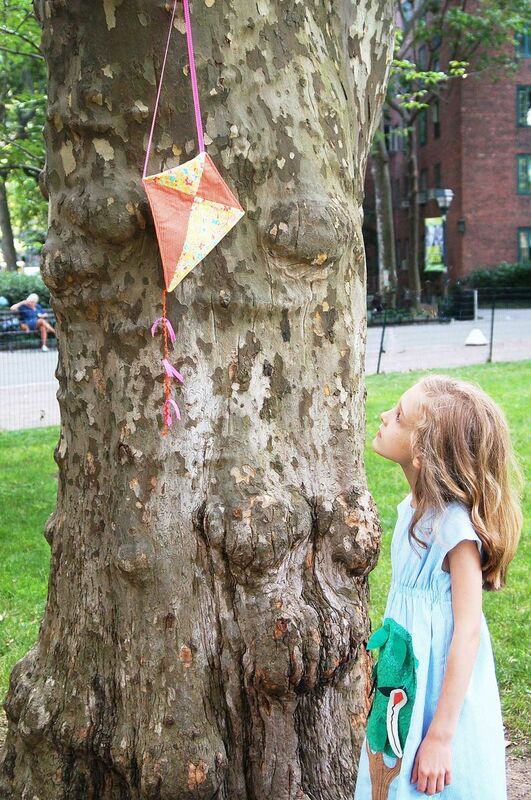 And just like in the story, the kite bag sometimes escapes and gets itself stuck in a nearby tree. I think my girls would like a whole forest of these dresses! Thank you so much, Liesl! that's fabulous! I love that S. did the drawings. And the kite bag is gorgeous. I have to add that book to my list for the next trip to the library . . .
Oh my goodness this is so fantastic!! I love S's drawings. And the kite bag is amazing as well. What a fun project. A kite bag!!!! I'm dying here. And I've never seen this series before - I'll start looking at my kids' books in a whole new way now! Love! I've been waiting all week for this one and it did not disappoint! I love that S was involved in the process and that her hand is in the finished product. Adorable and perfect! 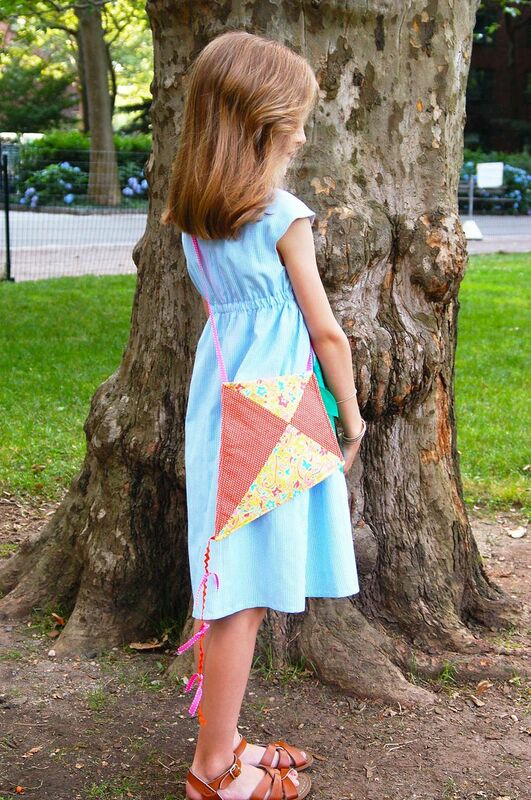 What a fun dress and kite bag! and how fun that both of did this together! My girls also love this book, and they would love snapping fire trucks and whales to their dresses I am sure! Cute idea Liesl! So fun! The kite bag really puts the outfit over the top! oh my, that kite bag is perfect! So charming! 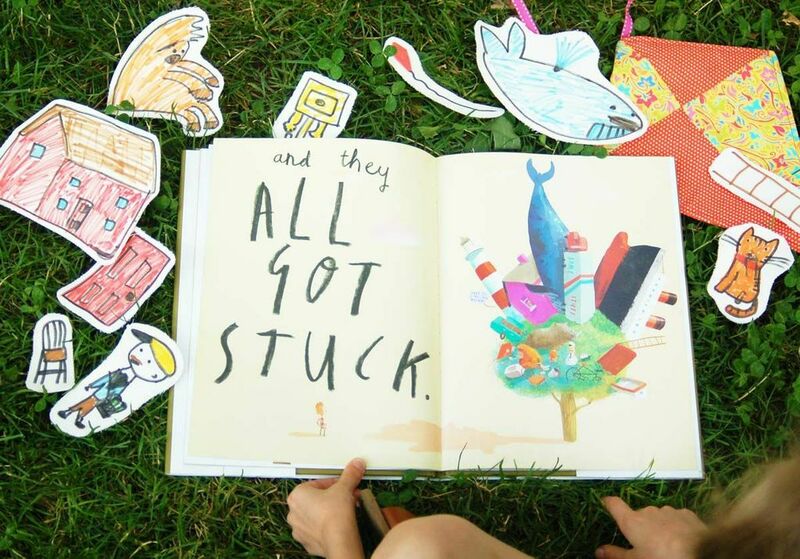 This idea lends itself to a lot of stories (thinking like a kindergarten teacher here!). Love it! Such creativity! I love it. And so fun for your daughter. How fun! I really love the kite bag! 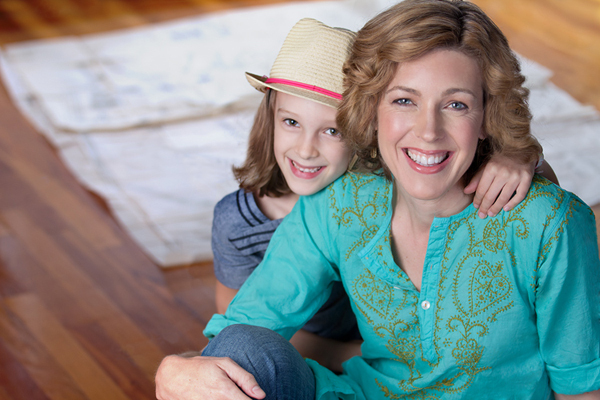 so fun to see a post from Liesl! 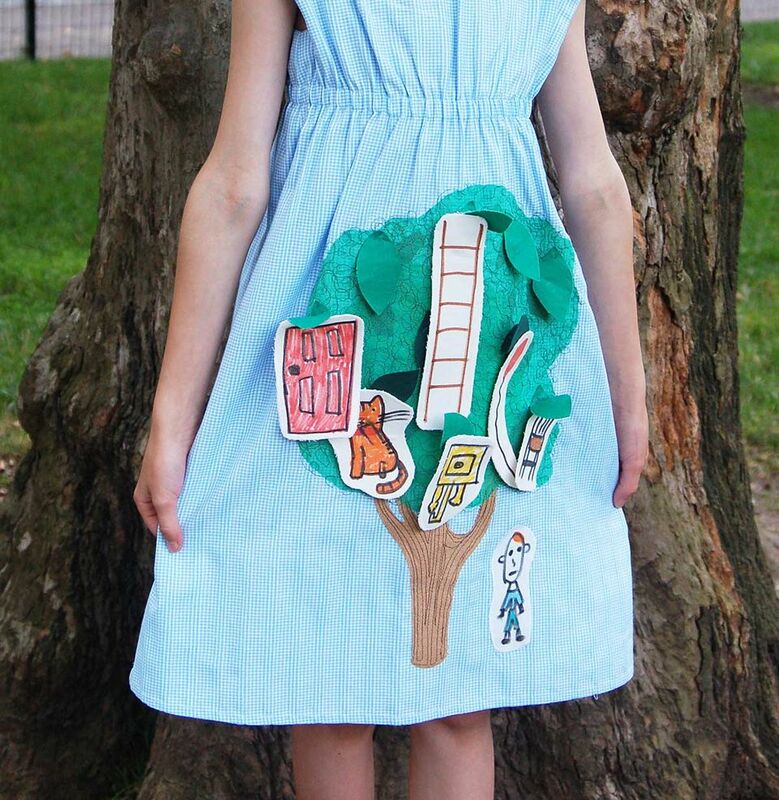 We too love this book, and this dress is a fabulous spin on it. So creative with the interactive pieces, and love it that S got to have a part in creating it as well. So fun! 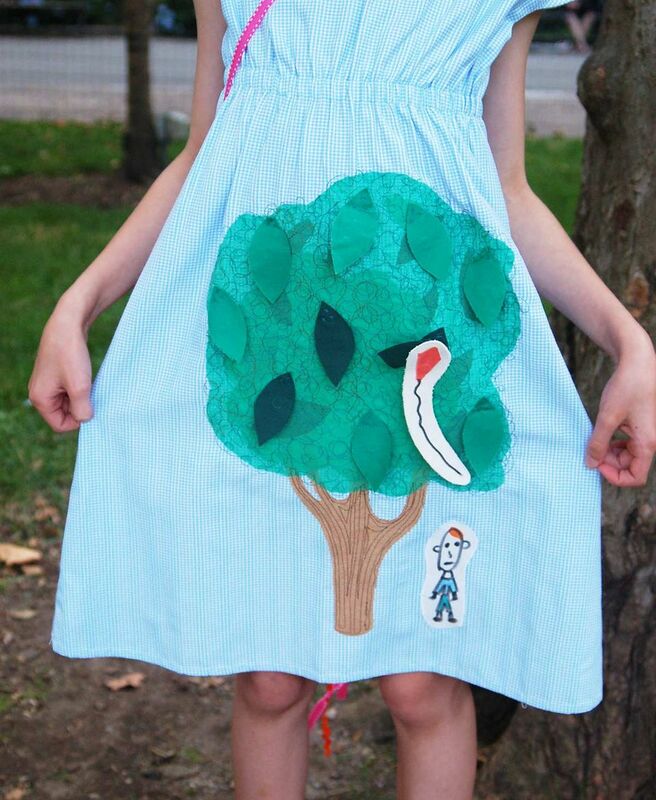 What a cute and creative dress!! The kite bag is so great. Oh my goodness....WE LOVE THIS BOOK! This is SO cute! 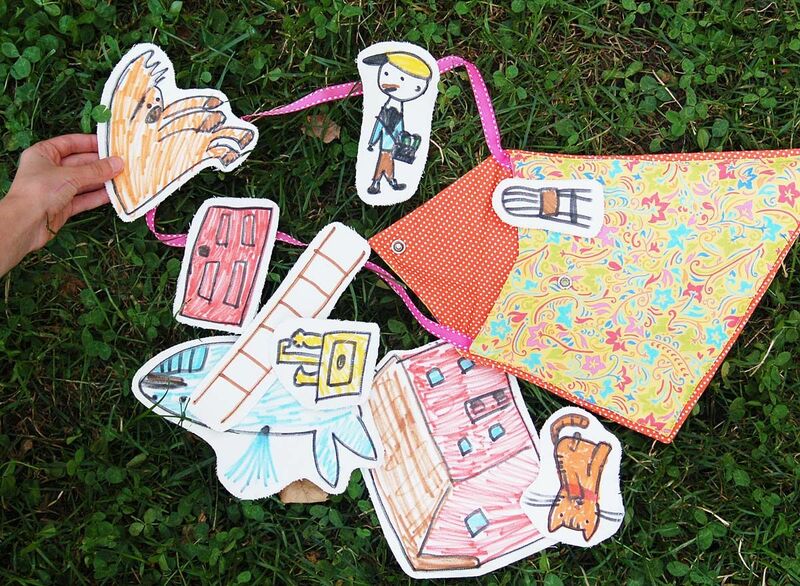 And that kite shaped bag is genius! Liesl does guest posts now...??? Awesome!!! ;) I love this dress, such a fun inspiration. Oh, the kite bag! Amazing. That's adorable! I'm such a huge fan of Liesl's work, too. Brava! This is awesome, and I think it's so great that you worked on this with your daughter! 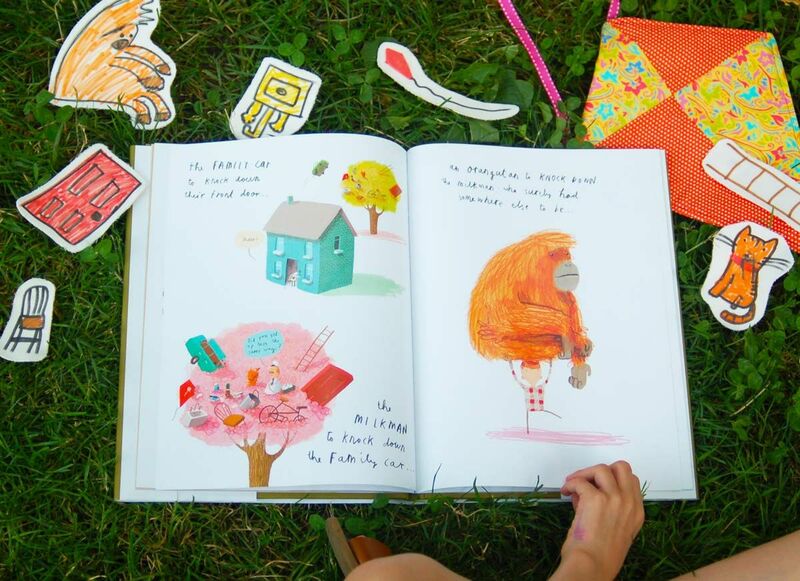 The pictures she drew and the way the snap on the tree--so cool!